Today we unveil a new era for Syscoin with a freshly revamped website, logo and brand. With our sights firmly set on delivering the fastest blockchain available, we decided a modern look and feel was needed to reflect our cutting edge technology. 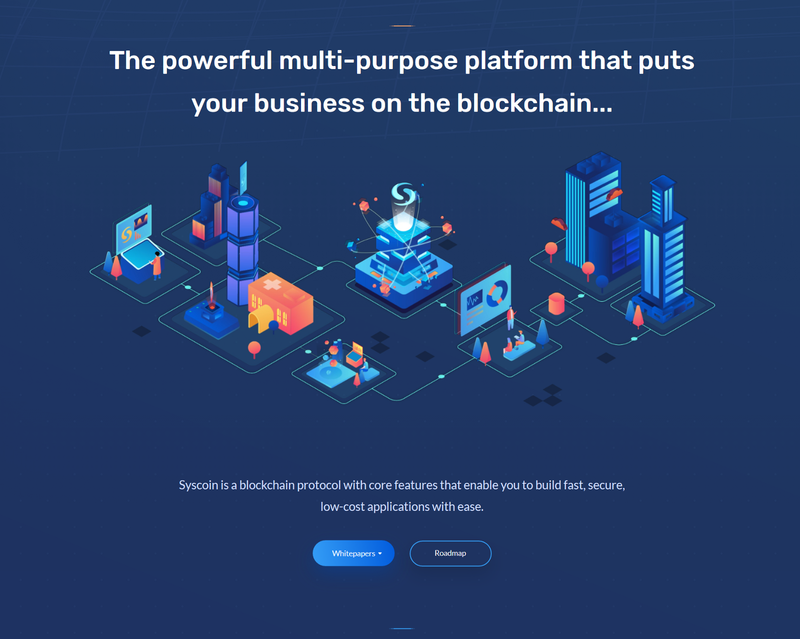 Four years of ceaseless research and development have culminated in the Syscoin Platform back-end infrastructure, enabling business owners to increase efficiency by creating tokens and decentralized applications (Dapps) for many different applications, all on the most scalable and secure blockchain platform available today. We are pleased to announce the formation of the Syscoin Foundation, a non-profit organisation that will represent the core development team, secure the code repositories, oversee public relations, and help steer development. Its goal is to expedite global adoption of blockchain technology by championing the unique decentralization features offered by the Syscoin Platform. The Foundation will also act as the official body for Syscoin, representing the project to its community members and its partners, and providing incentives to developers to improve the Syscoin core protocol while making sure there is sufficient access to developer tools and information. We also have some more great upcoming news in our pipeline. The official TPS (transactions per second) test results will be presented by Whiteblock, while we simultaneously release the Z-DAG whitepaper. Whiteblock, a blockchain testing platform that helps development teams validate performance, have been thoroughly testing Syscoin platform TPS in recent months and the results are very exciting! The Syscoin Platform is stronger then ever! With the formation and new direction of the Foundation, the core development team can now completely focus on growth, research and continuous development improvement of the platform. A next step is the implementation of EVM smart contracts as part of Syscoin 4, which will make the Syscoin Platform suited for even more use cases, increasing adoption and growth. As the ecosystem flourishes, the Community developer society is actively working on tools such as SYSIO, providing a fast and simple tools to build on the Syscoin Platform. There are many upcoming projects being worked on in the Syscoin Ecosystem, check out the updated roadmap to see what we have in store!